Donald Glover is headed toward serious stardom. Serious Star Warsdom, specifically. Lucasfilm announced Friday afternoon that the rapper-actor, currently earning acclaim with his FX series Atlanta, has officially signed onto Disney's untitled Han Solo standalone. 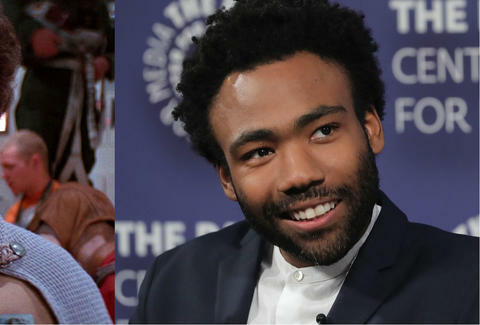 Glover will play a young version of the slick smuggler Lando Calrissian, the character Billy Dee Williams popularized in The Empire Strikes Back and Return of the Jedi. "We're so lucky to have an artist as talented as Donald," Phil Lord and Christopher Miller, the directors of the Solo prequel, said in a statement. "These are big shoes to fill, and an even bigger cape, and this one fits him perfectly, which will save us money on alterations. Also, we’d like to publicly apologize to Donald for ruining Comic-Con for him forever." Glover joins Alden Ehrenreich, who's set to play Solo. The origin story, which "depicts Lando in his formative years as a scoundrel on the rise in the galaxy’s underworld," before the events of Star Wars: A New Hope, is slated for a May 25, 2018 release.